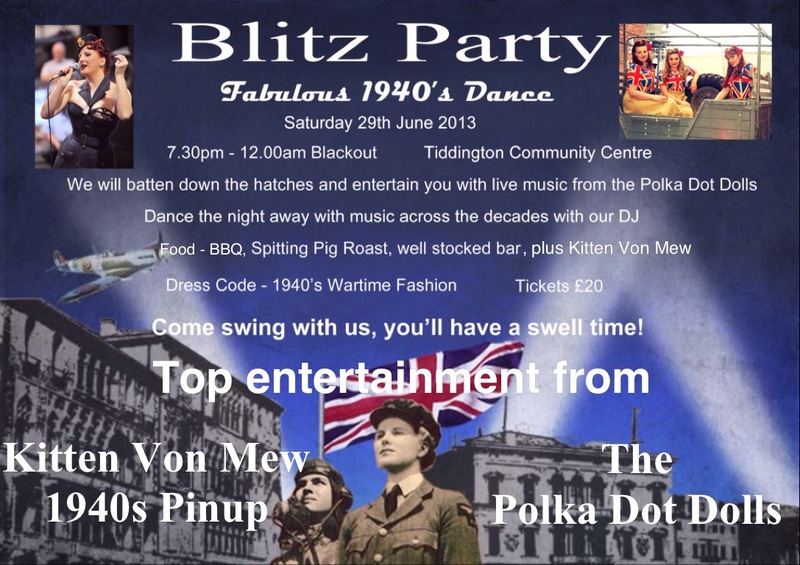 Singing and Burlesque, Blitz Party on 29th June! Come along, have a dance and help raise some money! It is absolutely wonderful to have something closer to home and I hope you can all join me. Please email louisegriffin@hotmail.co.uk for tickets! Posted in Events and Performances and tagged 1940's events, 1940's singer, 40's events, blitz ball, blitz party, burlesque, burlesque in stratford upon avon, kitten von mew, singing, stratford upon avon, tiddington. Bookmark the permalink.